Jesse Foster is always on the go. He likes to play hard. Whether ski racing, mountain biking, hiking or rock climbing, Jesse pushes himself intensely. It was no surprise that when he experienced severe lower back pain, Jesse was hesitant to proceed with surgery. As a physical therapist and the manager of St. Luke’s Wood River’s Rehabilitation program, Jesse has seen many patients recovering from back surgery and knew how hard it could be to come back from major surgery. Although the sports enthusiast didn’t like working and playing with the pain, he also didn’t want to miss the outdoor activities that he enjoyed. Thankfully for Jesse and others, through the generosity of the Wood River community, a state-of-the-art spinal robotics navigation system was purchased at St. Luke’s Wood River in 2016. The technology, called the Mazor Robotics Renaissance Guidance System, offers pain relief and faster recovery after surgery. Minimally invasive surgery outcomes are better and allow patients to get back to their normal routines sooner, compared to fully invasive surgeries, as there is much less tissue disturbed through the surgery process. St. Luke’s Wood River was the first hospital in a five-state region to offer this new minimally invasive orthopedic spine surgery. Last August, David Verst, MD, orthopedic spinal surgeon and former chairman of Orthopedic Surgery at St. Luke’s Wood River, performed spine surgery with the Mazor Guidance System to repair the part of Jesse’s spine that had become unstable through all his years of intense athletics. No one is more aware of that than Jesse. He was up walking around his neighborhood just days after surgery. Within two months he was back doing most of the activities he loves—with no pain. Within three months of the surgery, Jesse was back full-force: working full-time, hiking and teaching the ski conditioning class at St. Luke’s Wood River Rehab. 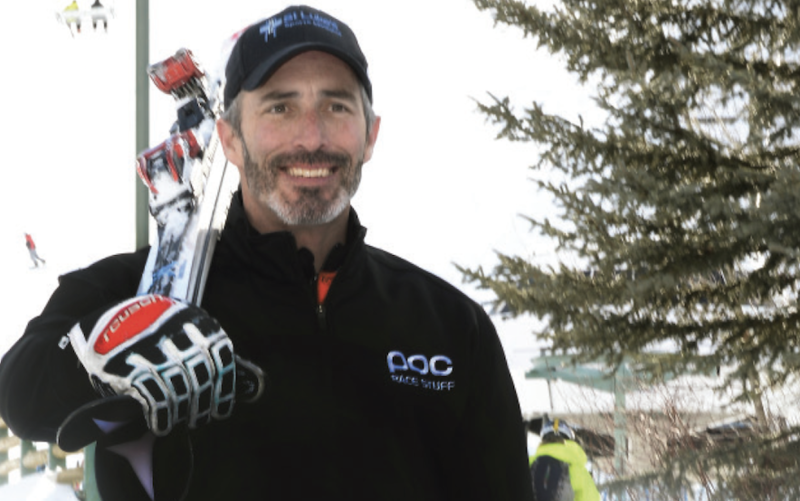 He was also back on the slopes this winter, ski racing in the Master’s World Championships. Thanks to the exceptional care, made possible through generosity, Jesse is playing hard, without pain.